I can' get over how quickly this month has gone by! It seriously has popped up out of nowhere. I also can't believe that there is only one more month left for 2018. I really need to start thinking about my yearly favourites (and working towards the goals I set out at the start of the year - eek). Yes I know there is still plenty of time but I really struggle to narrow down my favourites each month, let alone doing it for a whole year! But that is a job for Future Tracy. Today I can just focus on all the things I have loved throughout November. Let's take a look shall we? I have had another really quite month when it comes to nail art. Then again, it has been a really quite month for me blogging wise. Anyway, I do have some nail art favourites from this month. 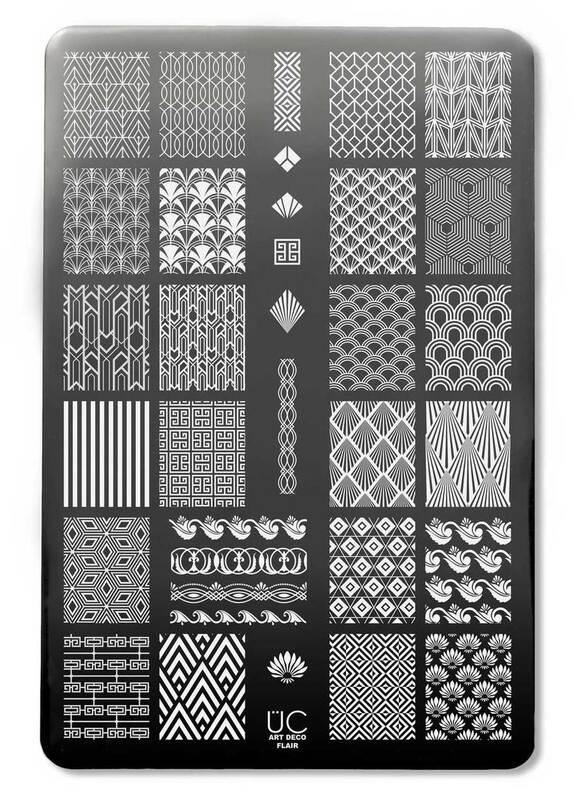 It's been a good month for stamping plates! I love this plate (which I am sure you could have guessed seems it is in my favourites for this month). It has some really great images on here and it stamps beautifully. When you have trouble deciding which images to use first then you know that it's true love. This is easily one of my favourite Uberchic plates that I own! I seriously love all the images and can't wait to play with it more. I have just finished swatching the OPI Nutcracker & The Four Realms Collection, however as I haven't actually shared it on my blog yet I'm not going to include my favourites this month. There have been two mainstream collections that I have shared this month and I have favourites from each. I am a huge fan of this collection. There are so many great polishes and I love that the bottles have the cute little Grinchs on them. My favourites from this collection are Who Wonder, You're A Mean One, Lukewarm Wishes and Resting Grinch Face. I'm not 100% sure if this collection was ever released here in Australia but it really should be. It's so gorgeous! I'm so excited to play with these some more. It's been a bit of a quite month on the indie front....well for me anyway. But naturally there is still lots to love. 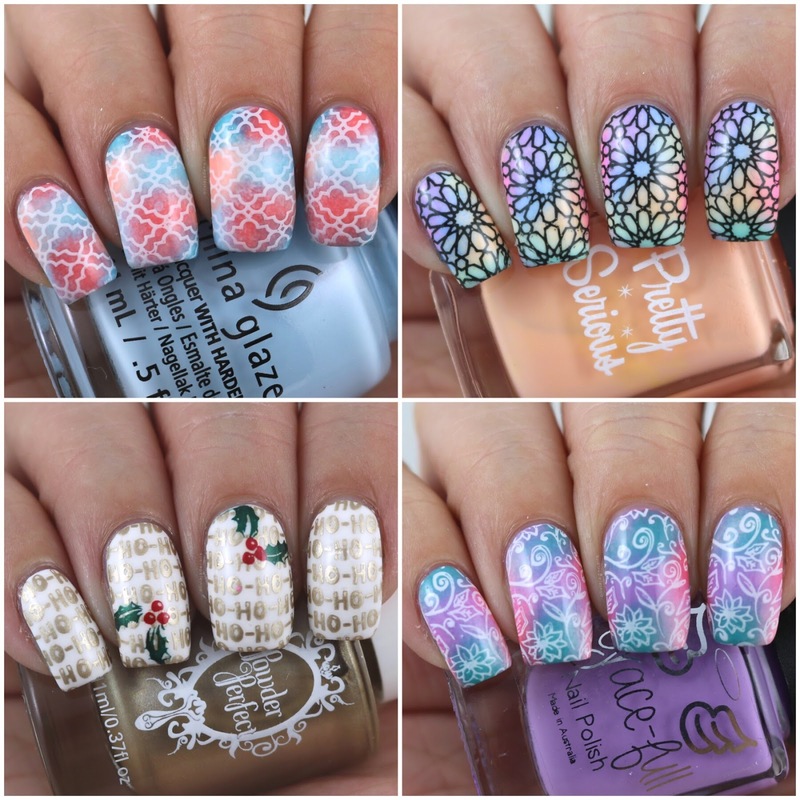 Once upon a time, I use to not like thermal polishes (in fact - I still don't like swatching them, they never do what you want them to do). But wearing them is so fun. I loved wearing So What. As much as I love glittery/shimmery polishes I am always going to be a such for cremes and Grace-full Nails Polish's new Sweet Treats Collection is AMAZING! That brings us to the end of November. I do have some really good polishes to share with you in December so stay tuned for that! If you are in the Grace-full Nail Polish Facebook group (if you aren't and would like to join you can find the group here) then you will have already seen a little sneak peek of this collection - or perhaps you saw a post of mine on Instagram last week with a sneak peek of some of these polishes. Today I have no sneak peeks, but a full post with all of the polishes from the Sweet Treats Collection. I'm so excited that Grace-full have done some new cremes...and a new thermal! Before I start rambling, let's take a look at these polishes shall we? Black Currant Cake is a medium pastel purple creme. I love this one! It's absolutely gorgeous and the formula is awesome. It's so close to being a one coater. My swatch shows two coats. Candy Swirl is a triphase jelly/creme thermal in a bright fuchsia pink that moves to a medium violet and a deep violet when cold. I didn't see all three colours together at the same time but as you can see from my swatches you can see the three colours. I love this one too. Each colour is gorgeous and it transitions well. It is a little one the sheer side (especially in the warm state) so I used three coats for my swatch. Fairy Floss Cupcake is a blush pink creme. I love this one! It's a gorgeous colour and great for the warmer ones. I did find that this one applied a little unevenly on the first coat but evened out on the second coat. I question whether or not I should have done three coats or not. My swatch shows two coats. Hawaiian Punch is a medium toned turquoise creme. This one doesn't photograph entirely accurately (but maybe it depends on your screen settings - this picture looks completely different on my computer and phone). Anyway, this is such a great colour and the formula is fantastic too. You could get away with one coat but I used two coats for my swatch. Lavender Tea is a pastel lilac creme. I'm sure it will come as no surprise when I say that I love this polish. The colour is stunning and the formula is fantastic. My swatch shows two coats. Lime Chiffon Pie is a mid lime green creme. I'm not really a big fan of green nails but this is such a cool colour, especially for summer. The formula is great and is opaque in two coats. Watermelon Sorbet is a coral creme. This was actually the first polish I tried from this collection and I really, really like it. This one has a kinda jelly like quality to to it so it is a little sheer one the first coat (and by a little sheer it's not that sheer but it appears sheer in comparison to the other cremes if that makes sense). I used two coats for my swatch, however I question whether I should have done a third coat. I love, love, love this collection! The colours are all so beautiful and the formulas are all really easy to work with. I'm really not sure what else I can say about these other than you need them! Especially if you are heading into summer (or if you just love summery polishes). The Sweet Treats Collection is available now from Grace-full Nail Polish's Australian site only. This collection is being released in the international store in January 2019 (wow that feels weird writing 2019). This collection is limited edition so I would recommend grabbing it as soon as you can! Funny story - I actually thought that I had already posted the OPI Metamorphosis Collection. 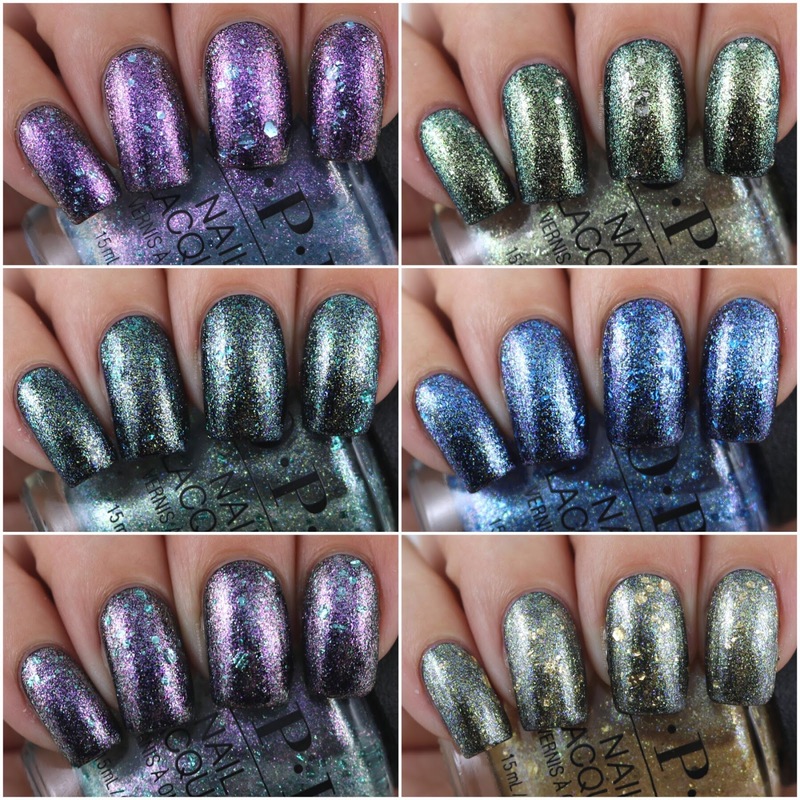 I grabbed out my computer to edit some swatches of a new Grace-full Nail Polish collection and I realized that I still had these OPI swatches sitting waiting for me. That being said, I had actually planned on posting these last Sunday and for some unknown reason I had marked that the post was done. I have absolutely no idea why (or when) I did that but I definitely didn't do a post - because there were no pictures to go with it. Anyway, today I have the new (well newish) OPI Metamorphosis Collection. 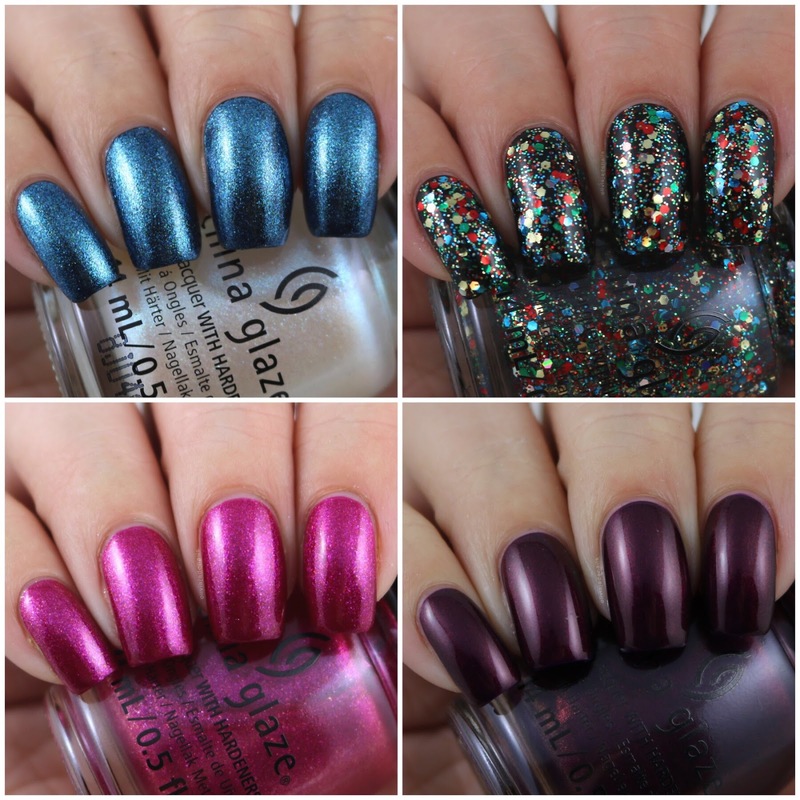 This is a limited edition collection which features six glitter toppers. To save myself some time (and to save you reading the same things over and over) I have done one coat over black for each of my swatches. All polishes apply really easily and there is no fishing or placement required, especially with those bigger glitter pieces. Butterfly Me To The Moon is a pink/purple shimmer with larger blue glitter pieces. I absolutely love this one. It is easily my favourite from this collection. 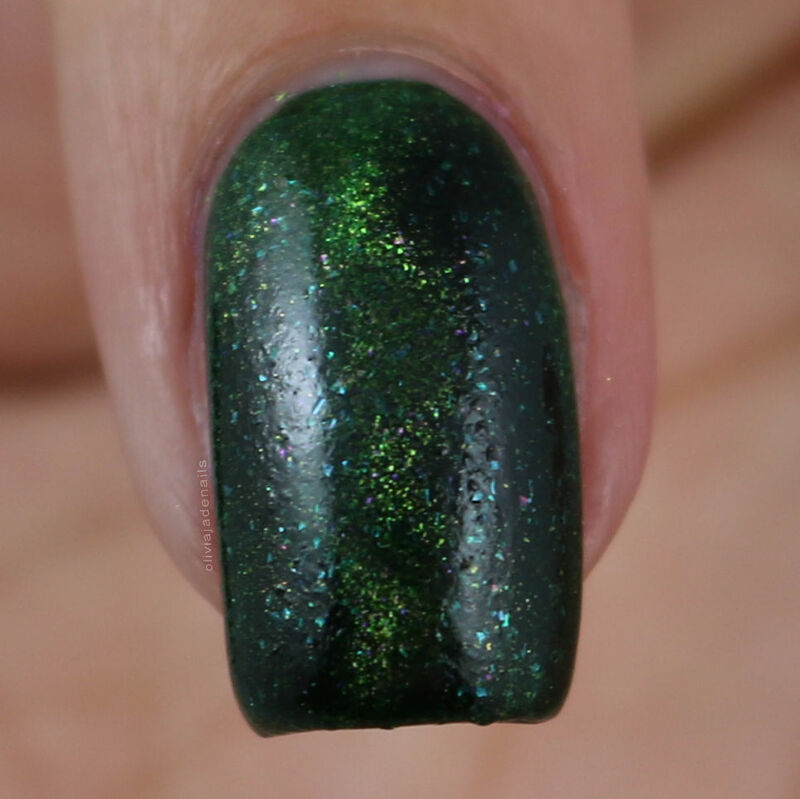 Can't Be Camouflaged is a yellow, green and blue shimmer with some larger green glitters. I think that this is such a pretty topper. I really like it over the black base. 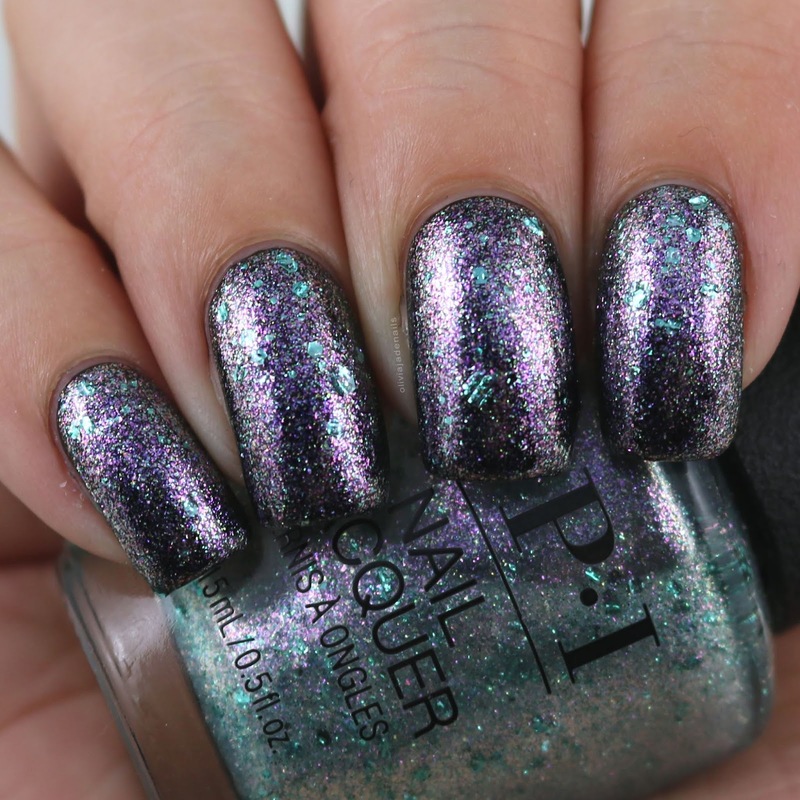 Ecstatic Prismatic is a lilac and green shimmer with larger green glitters. I do quite like this one too. 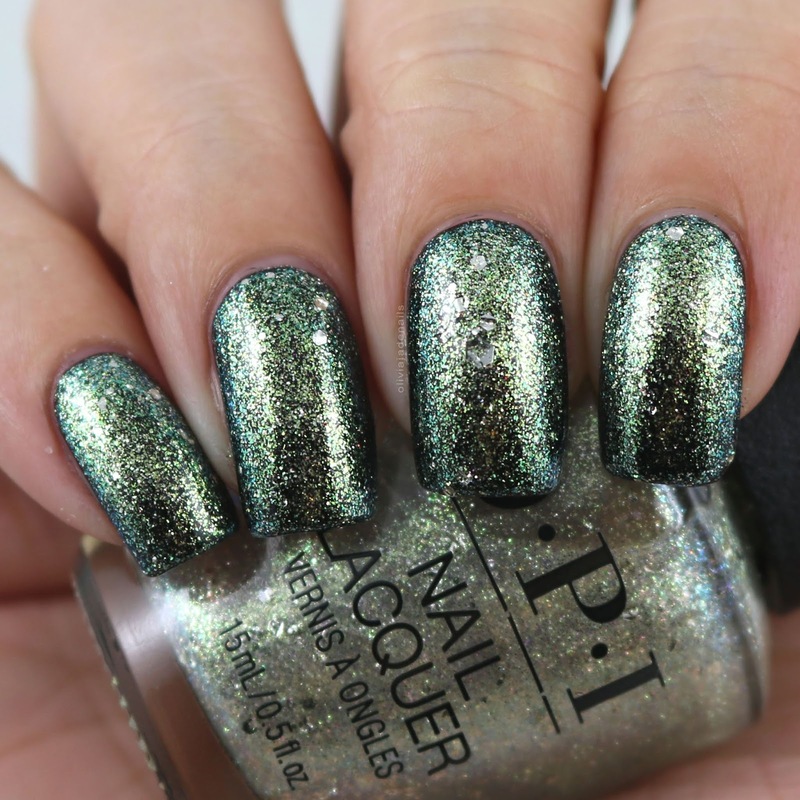 Metamorphically Speaking is a light gold and green shimmer with silver glitter pieces. This Changes Everything! is a gold, purple and blue shimmer with large gold glitter pieces. 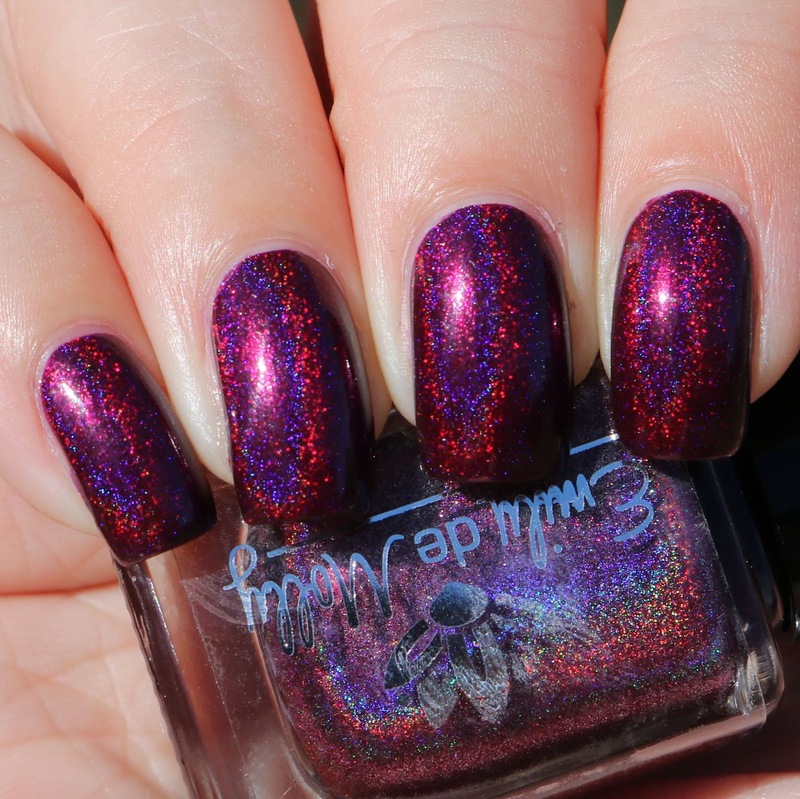 This one definitely is more dense with the shimmer than the other polishes. 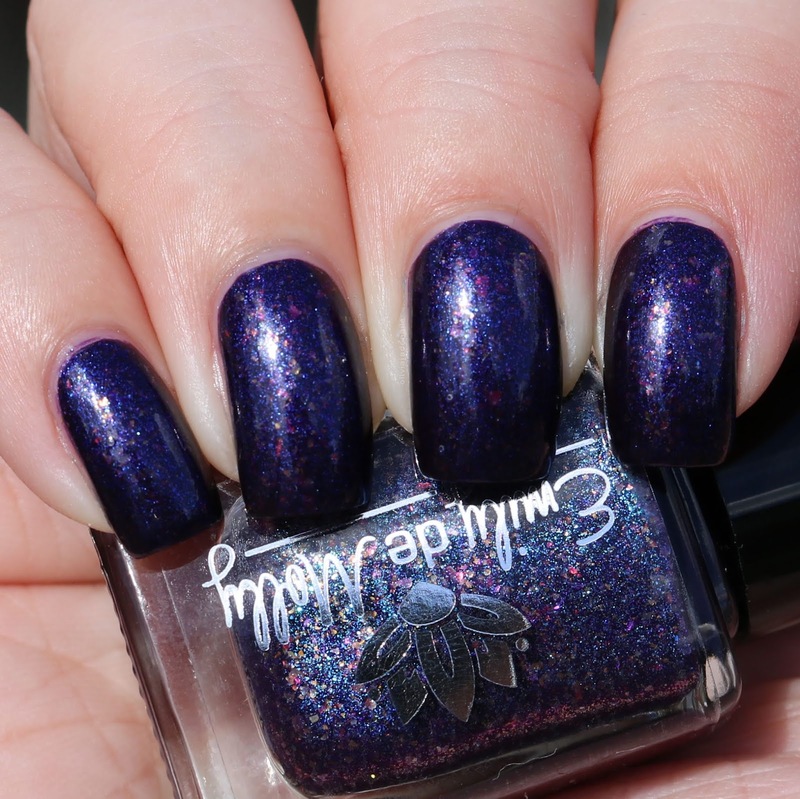 You Little Shade Shifter is a blue and purple (maybe green or gold) shimmer with large blue glitters. This one is so pretty too! I love these glitter toppers. I think they are all so pretty and sparkly. I am excited to try them over some other colour bases....and with a matte top coat! I think these would look so good mattified. I also want to try using them in some nail art. Sadly, time was not on my side to get that done before this post. What do you think of glitter toppers? Love them? Hate them? Let me know. It's my daughter's birthday next week so I am currently focusing on that (and her birthday party) but I can't wait to switch into Christmas mode. I love Christmas and I think that this year is going to be an awesome Christmas. To help get your nails into the festive spirit Uberchic have released a new Christmas inspired stamping plate called Happy Christmas. Of course, I have this to share with you today. A few years ago I use to do holly with one stamping colour (usually green) and then had to go over the top of the berries in red with either a dotting tool or gems. If only this image was around for me back then. Naturally I had to use this image first. To jazz it up a little I used the Ho-Ho-Ho image as my background. These look so much better in person than they do in my pic. Polishes used are Emily de Molly Bright Retreat, Powder Perfect Metallic Green and Golden stamping polishes and Hit The Bottle Drop Red Gorgeous. I love this next image and I just had to use it. 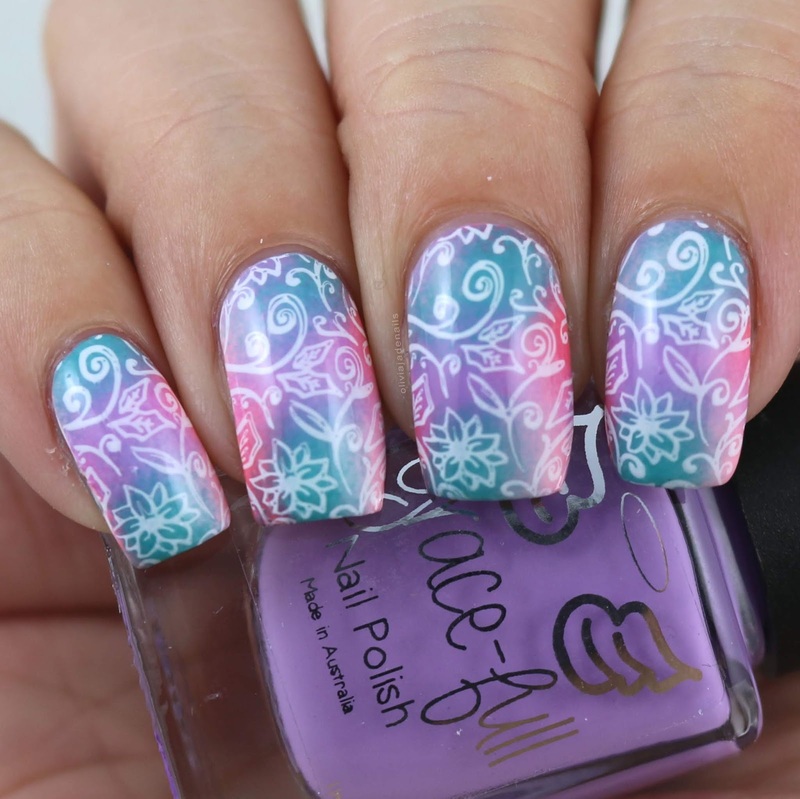 Originally I had planned on colouring the image in, however I have some new polishes from Grace-full Nail Polish that are being released soon that were screaming to be played with and who am I to say no to pretty polishes? I love that they take this image away from a traditional Christmas image and becomes a little more summery. It's an Australian Christmas (because Christmas is in summer here in Australia). Polishes used are Grace-full Nail Polish Fairy Floss Cupcake, Hawaiian Punch, Lavender Tea and Watermelon Sorbet and stamped with Hit The Bottle Snowed In. There are some really great Christmas designs on this plate. I do like a lot of the single images but I honestly don't tend to go for these types of images on my nails so I'm not sure I will get a lot of use out of those. I am looking forward to playing with the two full sized snow flake images though. They look so pretty. And the light images, and the gingerbread men....ok so I really like all of the full sized images. 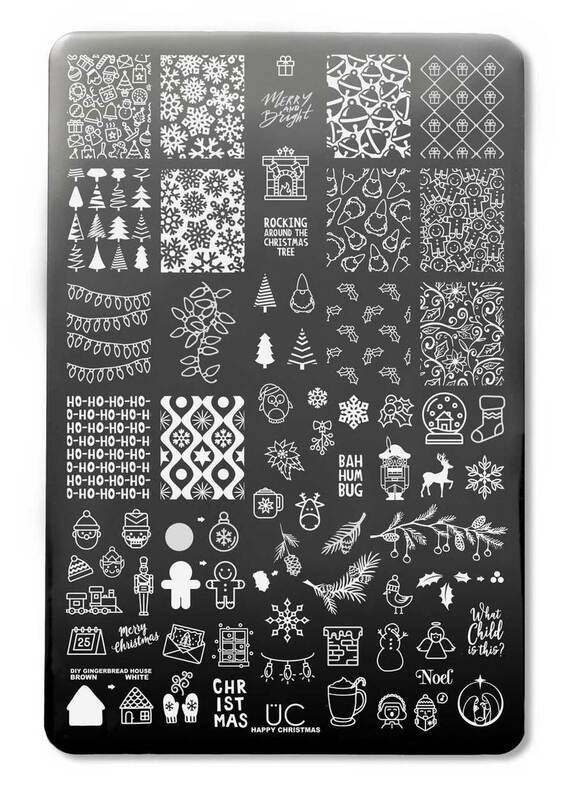 The Happy Christmas Stamping Plate is available now from Uberchic Beauty. As you may be aware Emily de Molly releases a few limited edition polishes each month (or most months). October she released some really gorgeous looking polishes that I just had to have. Now that I have them and have swatched them I thought I should share them with you guys. That being said I am not sure if they are still available or not (and I am being too lazy to actually look them up - sorry). Anyway, let's take a look at these polishes shall we? 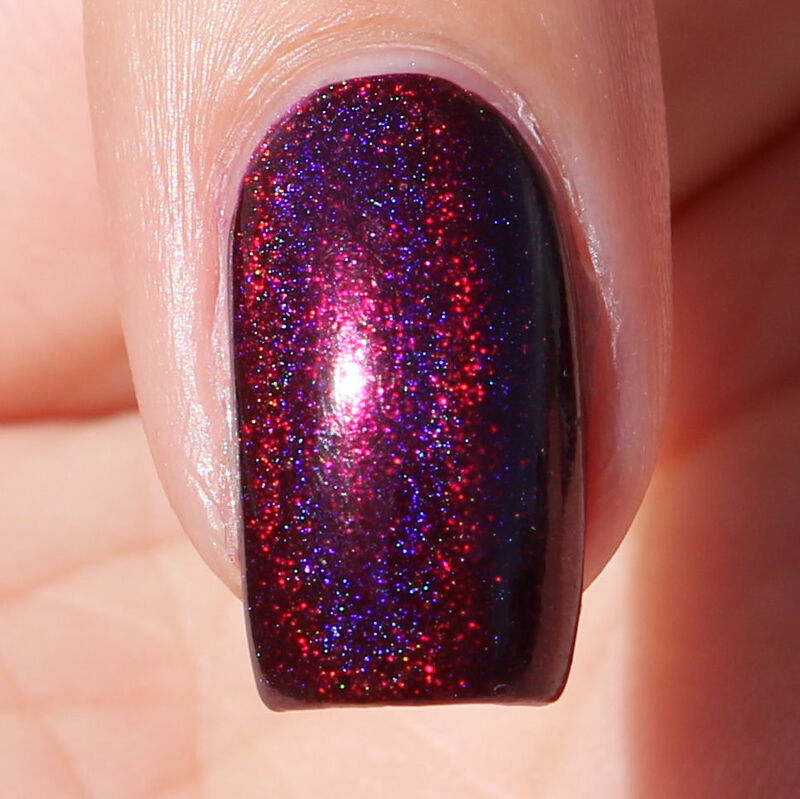 LE 110 is a dark purple holo. Yes this is a simple polish but OMG! It is absolutely stunning! I love it! The formula is awesome - you can easily get away with one coat. I did use two coats for my swatch. 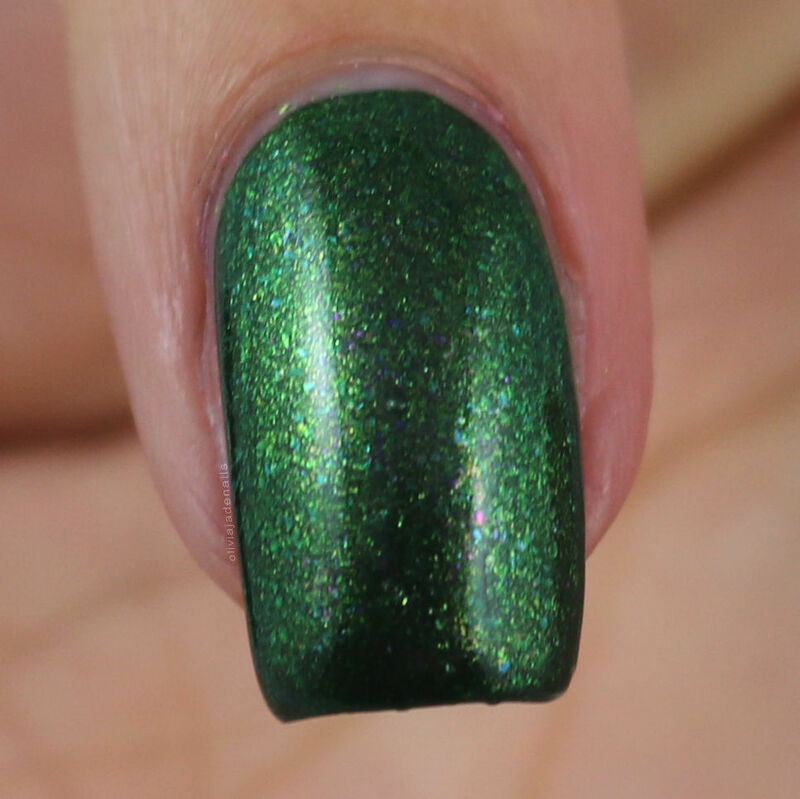 LE 111 is a dark green with a gold to green magnetic effect and pale blue shimmers. I think this is such a great colour. I personally prefer it without the magnet - not that there is anything wrong with the magnetic effect, I just like the green before hand. The formula is great and is opaque in two coats. I should point out that I didn't use top coat over the magnetic effect. 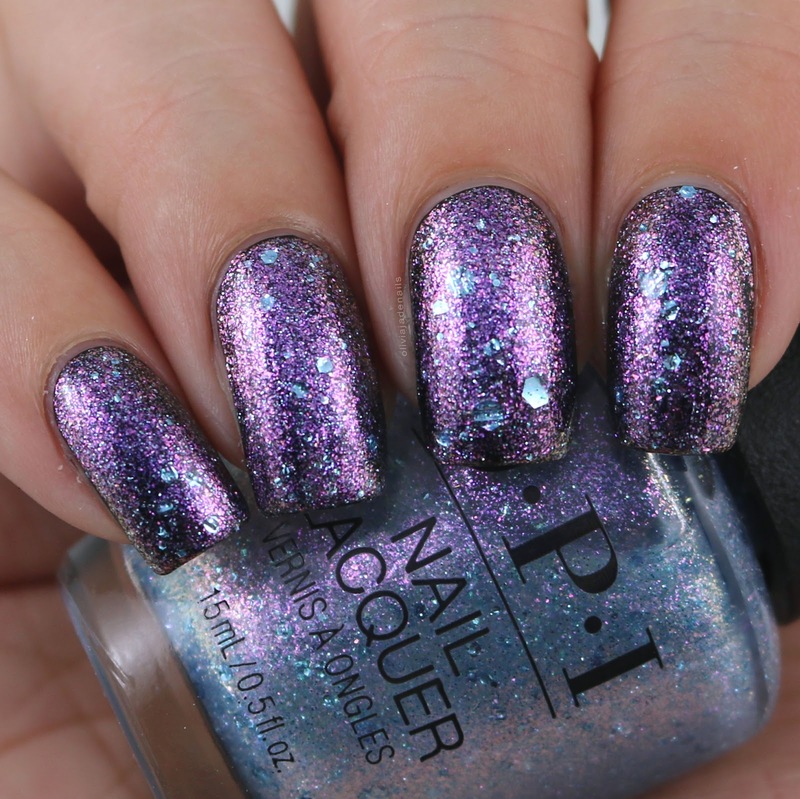 LE 112 is a dark purple with blue foil shimmer and orange iridescent flakes. I quite like this one. It's not over the crazy, but it's not simple either. I don't think I had quite the right lighting to show off this polish off properly. The formula is great and is opaque in two coats. LE 113 is a pale lilac with iridescent glitters, flakes and gold glitter. 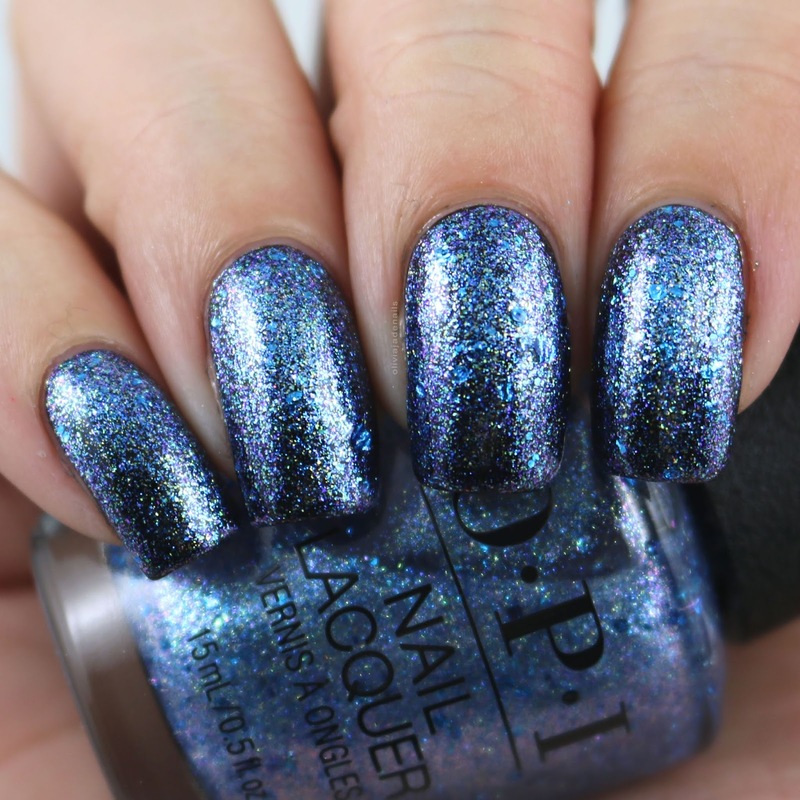 This is another really gorgeous polish. I wish there was some sunshine when I wore this one because it's really pretty in direct light. The formula was great and easy to use. I used two coats for my swatch. I'm a huge fan of these limited edition polishes and I have zero regrets for getting them. My personal favourites would definitely be LE110 and LE113. 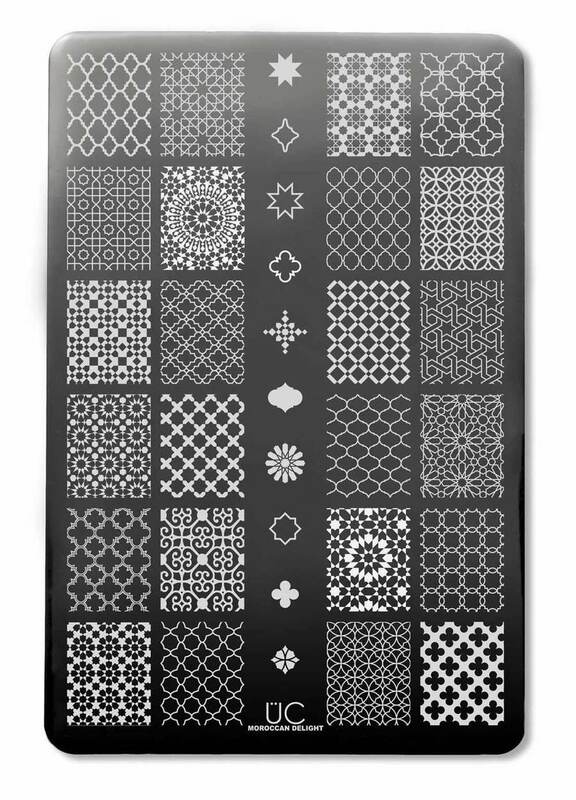 Don't you just love when you are sorting through computer files and you discover swatches of a stamping plate that you have never actually posted a review of? Or has that only happened to me? 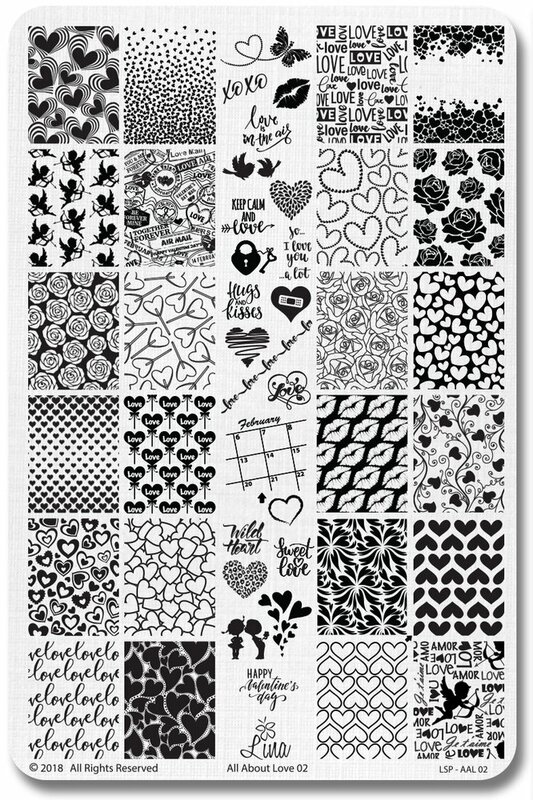 I have had Lina Nail Art Supplies' All About Love 02 stamping plate since February/March this year and I have only just realised that I haven't posted it yet. I'm really not sure why. I am going to guess that I have just bumped the post for other new things that have come in and then I must have just forgotten about it....until now. Now a couple of these manis I did a little while ago so you may have already seen them. Sorry but I thought it would be good to still do an actual review of this plate. This first mani I did as part of the 31DC2018 challenge (wow that feels like it was so long ago now but really it's just over a month). 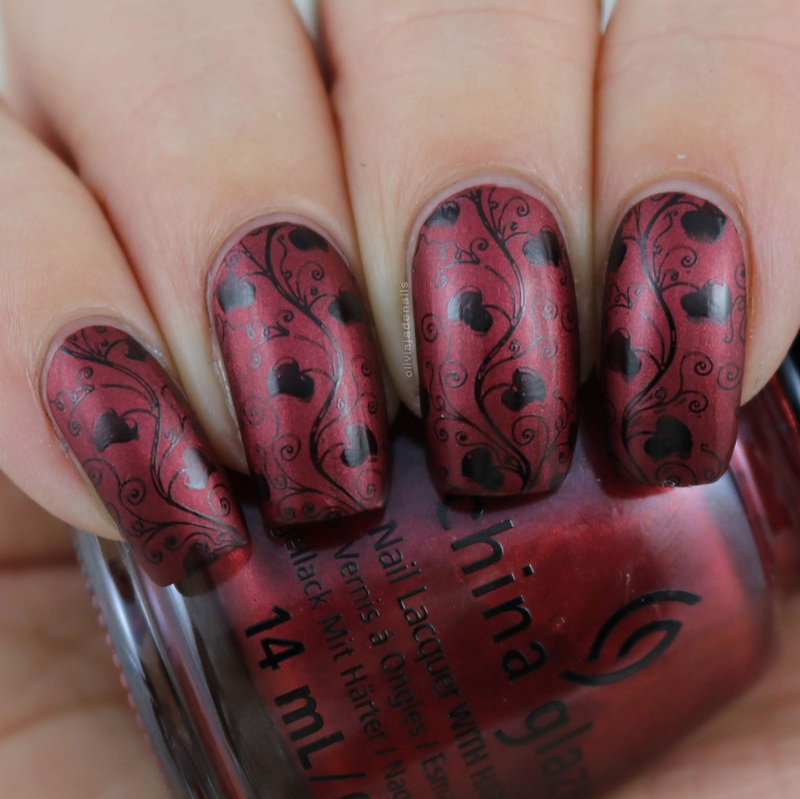 Anyway, for this mani I used China Glaze Haute Blooded and Powder Perfect's Black Stamping Polish. The second mani I did using this plate also happened to be for the 31DC2018. I didn't even realize that I used the same plate twice in that challenge. For this mani I used China Glaze You're Too Sweet (over OPI Getting Nadi On My Honeymoon) and stamped using Hit The Bottle Snowed In. This mani looked better in person than it does it pictures. 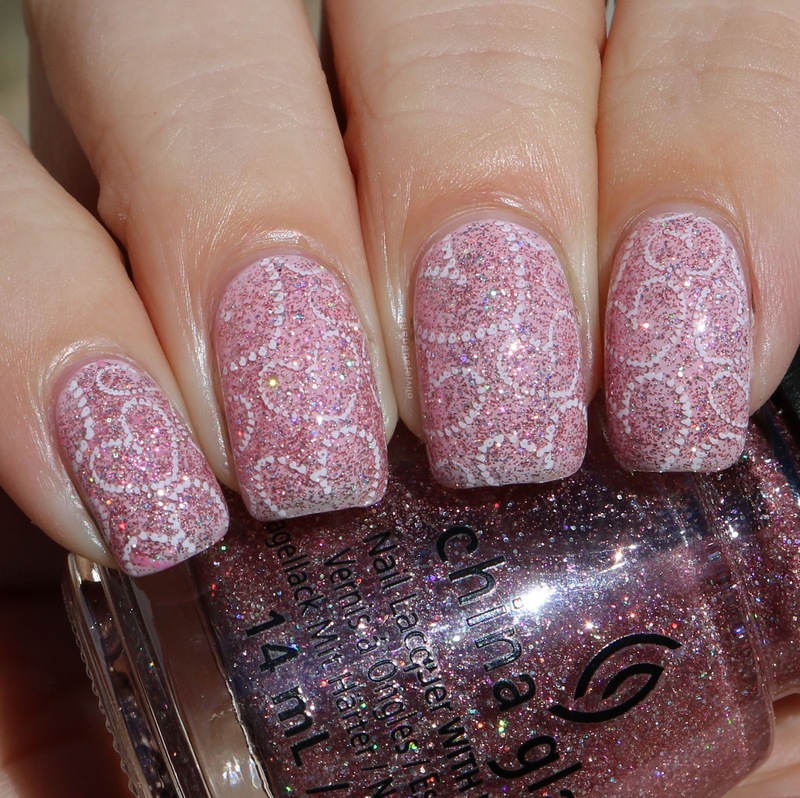 I think this is a nice plate for Valentine's manis but for the most part I can't really see myself grabbing for it a lot. It does pick up and transfer well. Have you picked up this plate?